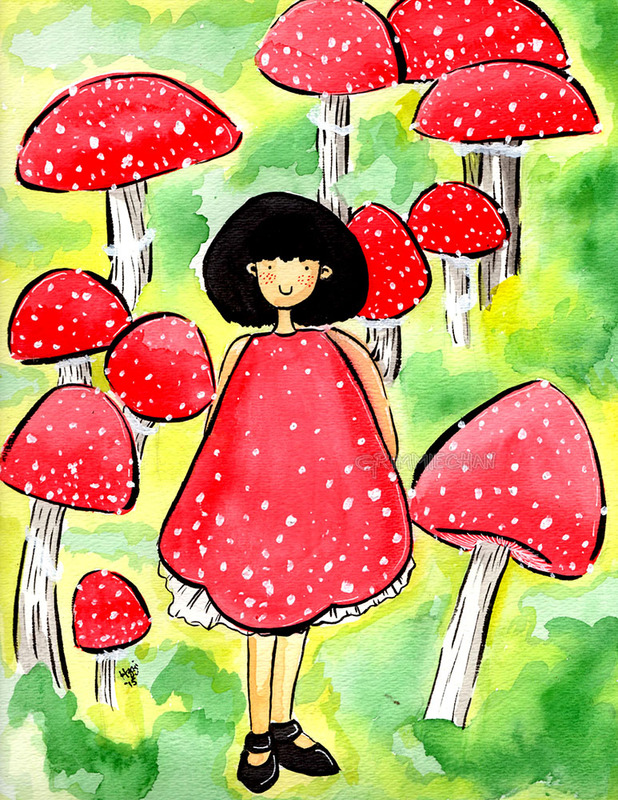 I had a sketch of this cutesy pootsy little mushroom girl and wanted to do a painting of her. She’s way cuter than anything I normally draw, but I like her. Naturally, her name is Amanita.